As a leading exporter of filter media, Filmedia ® Everspring’s PA (Nylon) filter cloth was export to lots of countries covering Asia, Europe and America and enjoy a good reputation among our customers. Despite our conventional items, we also welcome other customized order. FAW: 200-850gsm and other customized weight. SKU: square meter. 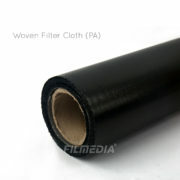 Availability: In Stock Category: Woven Filter Cloth. Great permeability of air and water. Filter cake can be easily released and recycled. Great strength,especially its anti-abrasion is top-ranked in all general fibers. Resist strong alkali and weak acid. The strength expense can be ignored after dealt with NaoH(10%),as Polyamide is used 16h in the state of 90℃. It’s continual applied temperature within 120℃ and the instant applied temperature can be up to 150℃. PA 66 can not be applied in the field of Pharmacy and Food industry. Widely used in the field of coal, petroleum, chemical, pharmacy, metallurgy and so on. More information about woven filter cloth, please here!